I wrote a simple 4k drawing tool in Processing tonight. It’s called Fickes Mouse Draw, and it’s a fun example of using the built in events mousePressed() and keyPressed(). 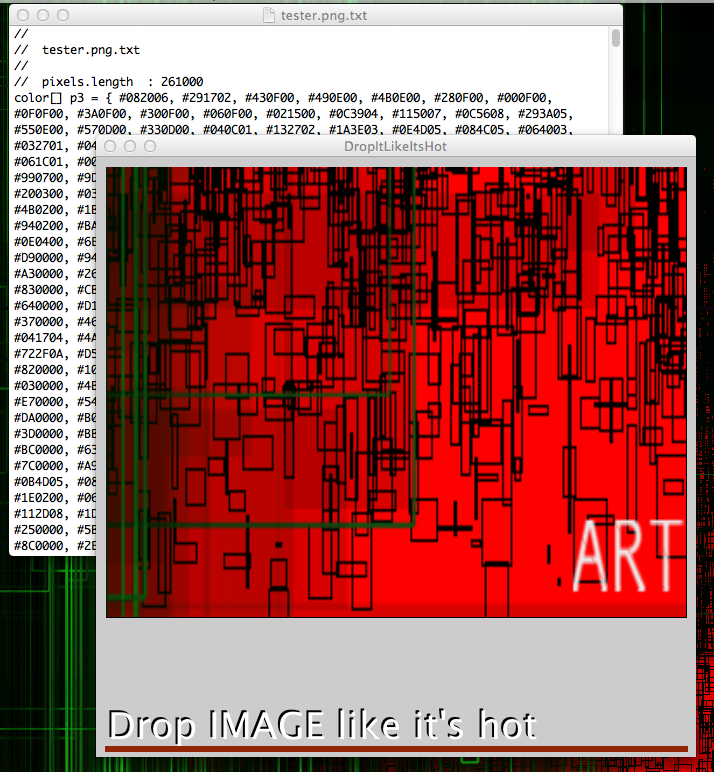 I’m building a new image tool using Processing that extracts colors and various information from an image. It’s dead simple now but I’m getting excited here ( buh bye AIR ). 2. 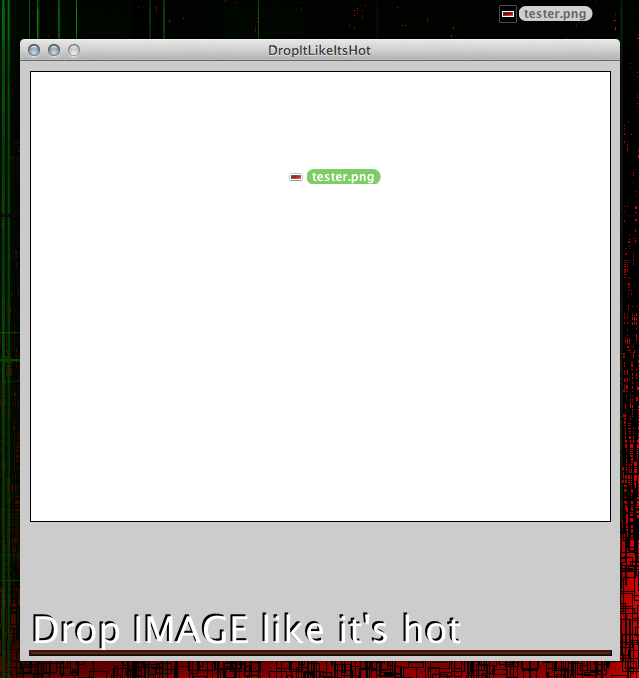 Drop It tool extracts the #HEX value of all unique colors and writes a Processing color array to an external text file. I’ll release the code for this tool after I get a few more features added. Sweet! Another sketch of mine made it to the sketchpad featured gallery.